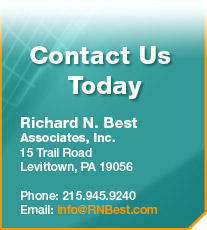 At Richard N. Best Associates, we pride ourselves on keeping abreast of advancing technologies and the latest products for parking, access and revenue control systems. In Best Ideas, we share our favorite products and equipment innovations. Early efforts to integrate parking pay stations with mobile phone systems have met with mixed success. But a new system offered in the Digital line by T2 Systems Canada, Inc., has entered the market with a simple, elegant process that is turning heads industry-wide. In short, Extend-By-Phone invites parking customers who use a credit card to enter their cell phone number with a prompt on the payment screen. If they begin to approach expiration, they receive a notification offering to extend their pay period. Just a simple text reply with the requested number of additional minutes applies automatic charges to their account, eliminating their worry and augmenting their experience. Unlike all similar solutions to date, Extend-by-Phone requires no pre-registration. All customers who pay with a credit card are automatically eligible to participate because the feature is already integrated with revenue management systems at every pay station. Pre-registration is an oft-cited reason why prior solutions have failed to meet operators' hopes and expectations of participation. Extend-by-Phone is inclusive from the onset, allowing the benefits to consumers and operators to be fully actualized. Presenting this easy alternative to customers helps to build loyalty while increasing overall compliance facility-wide, which quickly translates into greater revenue for operators. Every instance when a customer comfortably resolves an expiration issue leads to a corresponding increase in customer satisfaction. Rather than rushing back to the parking facility to avoid a costly ticket, customers simply enter a text reply and relax — and they tend to remember the positive experience. 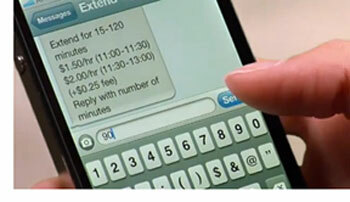 Because Extend-by-Phone uses SMS messages, the program is compatible with any brand or model of mobile phone. Likewise, the technology is easy to integrate with existing pay stations and facility revenue management systems. Installing Extend-by-Phone even upgrades existing systems by providing a new automated layer of consolidated management and reporting through Digital's EMS online management system. Operators find that the configuration of rates, policies and fees is also simple. Extend-by-Phone also works with systems such as Pay-by-Space and Pay-by-License-Plate. Digital has figured out that some of the greatest forms of innovation can come from simple ideas. Here at Richard N. Best Associates, we imagine that Extend-by-Phone service and similar inclusive customer integration systems will soon become indispensable for every parking operator as positive customer experiences transition into customer expectations.